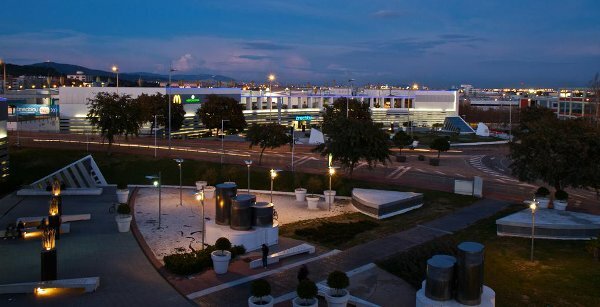 Opened in 2005, Ànecblau has become a benchmark in the region of Baix Llobregat, with more than 30,000 m2, three levels with the best brands in the market, free underground parking, wide range of services and great visibility. Ànecblau is more than going shopping, it is an experience. 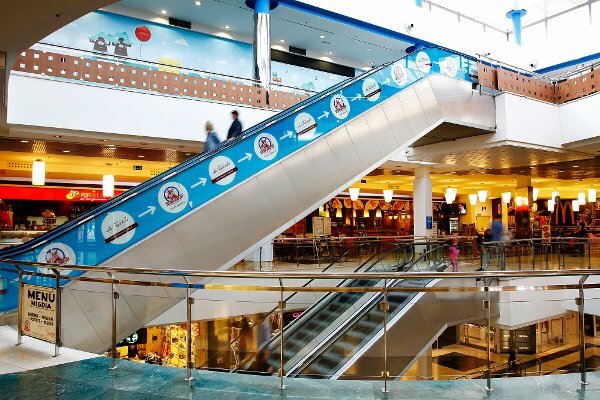 In addition, it is the only shopping center that opens 7 days a week, from Monday to Sunday, including holidays. Ànecblau has a clientele of medium-high economic level that gives us an outstanding image comfort and satisfaction. Do you already have a business but want to give it a boost by moving it to a busy area? Or do you have a business idea in mind but you need the perfect spot to set it? We offer you the opportunity to place your business in a strategic point, surrounded by international brands of first level that carry a large volume of public. Call us at 936364243 and make an appointment. We can show you the available places, give you a tour to the ones that already work and give you all the information you need to make the decision. And if you prefer, you can contact the person responsible for the commercialization of the premises, Mercedes Falomir, who will assist you on 914262544 or mfalomirm@gentalia.eu. In Ànecblau you will find the most important thing: your clients. The great advantage of starting your business from a temporary point of sale is that you greatly reduce the initial investment, minimizing risks. In Ánecblau you will find everything you need: spaces for rent – you choose the number of square meters – and many, many people. Perfect for kiosks, stands, promotions, events, …, in corridors, squares, car parks. And if you want to install a communication point or stand as part of an advertising or information campaign or you have a traveling exhibition and you are interested in our shopping center, just contact us. You can call us at 967246700 or write us an email to anecblau@anecblau.com. 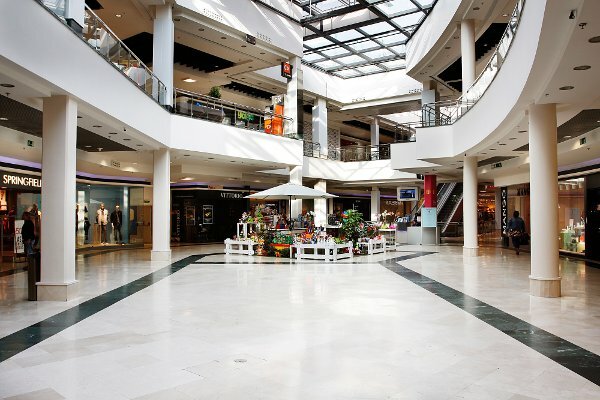 We can show you the spaces available to you based on your needs (square meters, height, thematic, etc.). Let’s talk and find together the best solution for your installation! 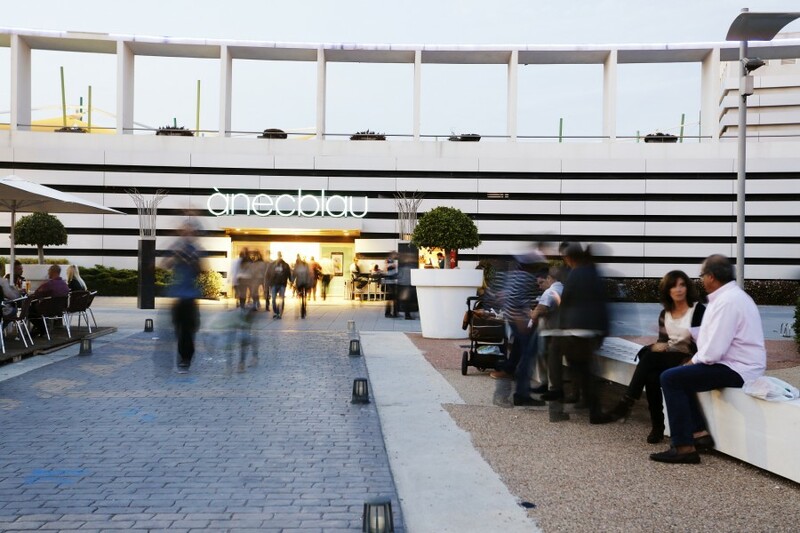 At ànecblau we have Quick Stores, it is temporary rentals of premises for: pop up stores, launching of new products, brands or services, fairs, start-up projects, demonstrations, multibrand spaces, sales Exclusive brands. A new business formula where to test your business without the need for a large investment and without contracts with long-term commitment. 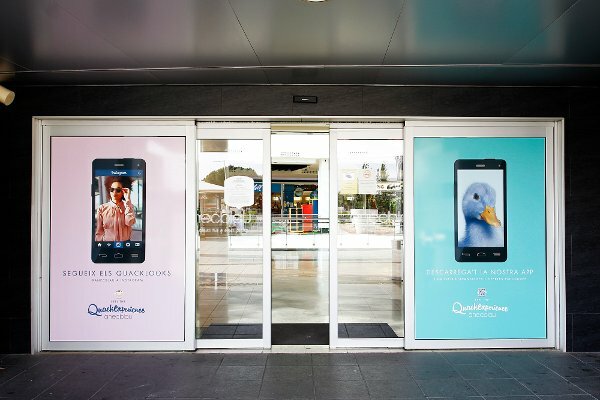 And if you are looking for advertising media, Ànecblau has numerous high-impact supports -walls, banners, stairs, walls, windows, etc.-, as well as spaces in our digital supports -Facebook, Twitter, emailing, website, app for smartphones, screens in the gallery of the center, etc.-. You want to know more? Download our dossier of advertising space and call us or write us whenever you want. Call us on 936364243 or write us an email to anecblau@anecblau.com with the subject “Advertising space” and we will see the different locations to choose the one that best suits your needs.